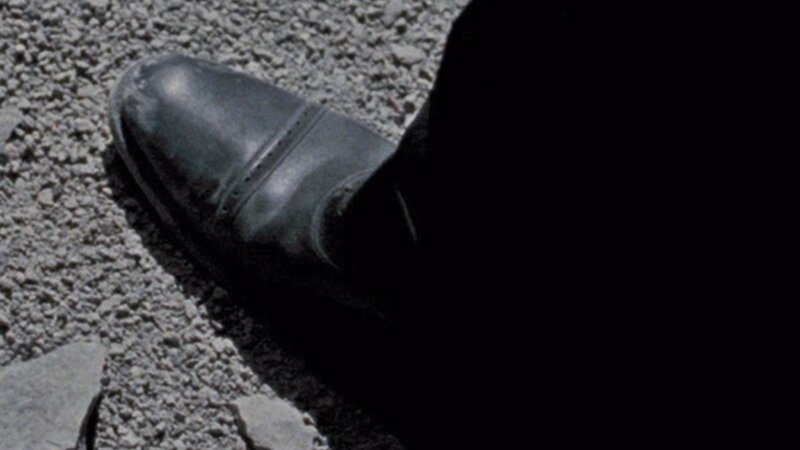 It’s not often that we get a close-up shot of Bond’s footwear, but Diamonds Are Forever gives us a lucky break on a number of occasions. The most traditional shoe to wear with a lounge suit is the cap-toe oxford, and here Bond wears black cap-toe oxfords with a black and white glen check suit and mid-grey socks. An oxford is a low-cut shoe with closed lacing, meaning that the front of the quarters at the bottom of the lacing is sewn to the vamp. In America any lace-up shoe is called an oxford, and there this type of shoe is known as a “balmoral”. The balmoral is more traditionally a style of dress boot with closed lacing. The oxford with a simple stitched cap toe, like the shoes that Bond wears in Diamonds Are Forever, are the most formal of all dress shoes and always appropriate to wear with a lounge suit or daytime formal wear. The oxford is one of the most common types of dress shoes and can be found readily from makers all over the world. The best oxfords, like those from John Lobb Ltd, have a sole with a bevelled waist. The waist is the narrowest part of the shoe, just in front of the heel, and the edge of the sole at that part of the shoe is carved away when it has a bevelled waist. It gives the shoe a more elegant and lighter profile. Daniel Craig wears the Church’s Philip cap-toe oxford in Quantum of Solace. Compared with Connery’s oxfords, Craig’s are a quarter-brogue style, also known as a punched cap toe or perforated cap toe. This style has broguing along the cap toe seam. 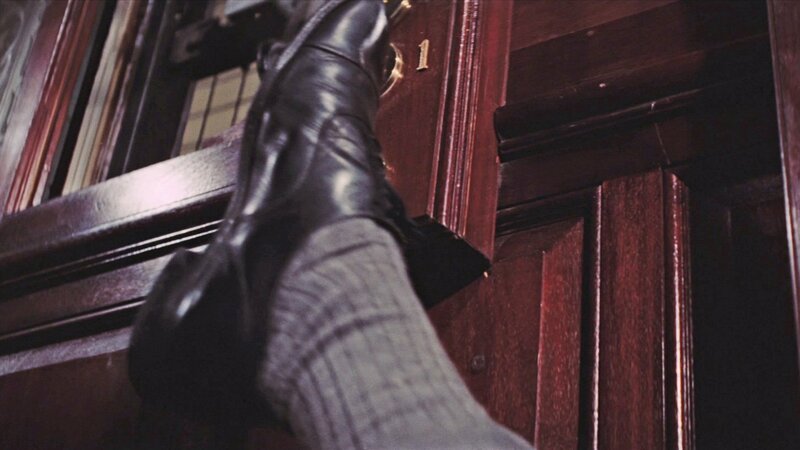 One thing slightly unusual is that Bond’s oxfords in Diamonds Are Forever appear to have heel counters. Typically heel counters are found on semi-brogue and full-brogue oxfords, but most makers leave them out on plain cap-toe oxfords for a cleaner look. There’s nothing wrong with heel counters on a plain oxford but it’s an uncommon detail nonetheless. Nice. You might want to explain for the others what heel counters are. 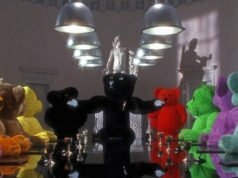 Why are they important (or not, as the case may be)? Heel counters are the pieces of leather on the back of the shoe, typically found on semi brogues and full brogues. They add extra durability to the heel of the shoe. The durability is useful on more rustic shoes, though it shouldn't be needed on plain city shoes worn more formally. 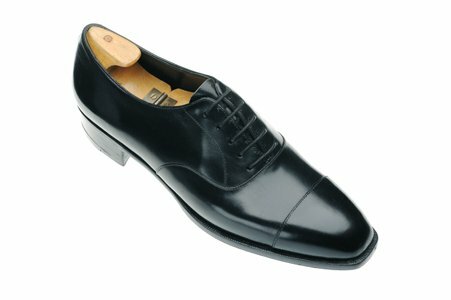 In Bond's case, the extra strength and durability the heel counters give the shoe is useful for Bond's rough lifestyle. What would be the best choice? 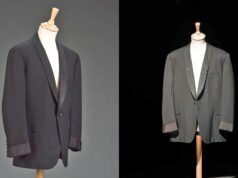 To use grey socks to match a grey suit (pictured) or use black socks to match black shoes (like the light grey Las Vegas suit)? Matching the suit or trousers is preferable to matching the shoes. Do you have any preference regarding material – cotton, wool or cotton/wool mixture? I personally prefer cotton socks, but I wear some wool in the winter.